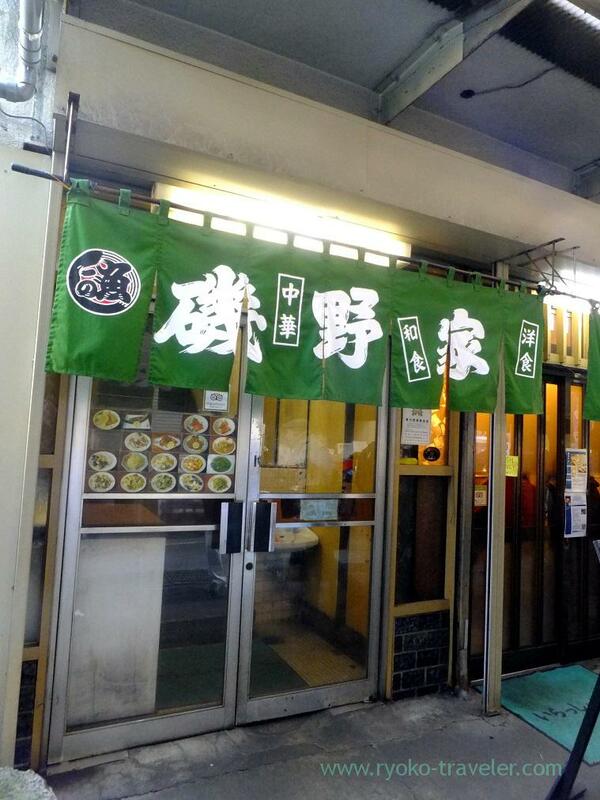 Their dishes are divided into three main classes. Western, Chinese and Japanese. 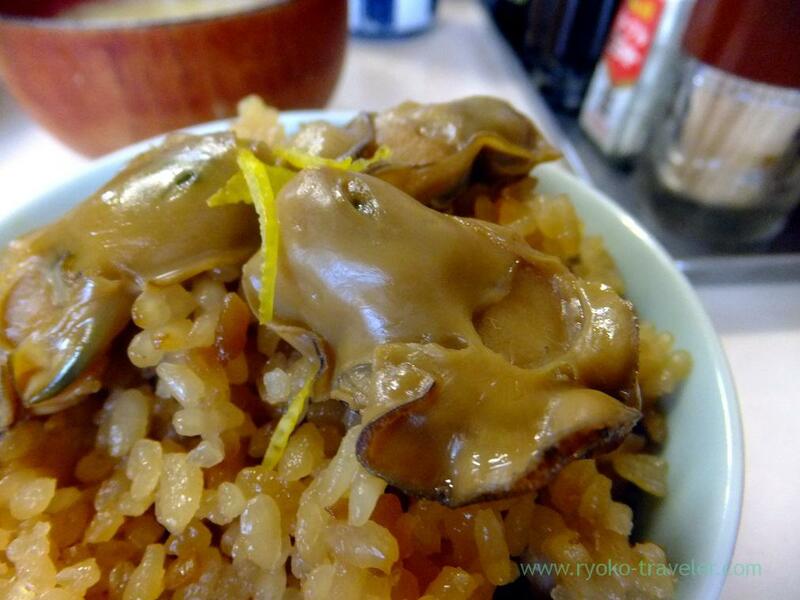 But people take delight in Oyster season because Isonoya serves oyster rice (かきめし) (rice cooked together with oyster meat). Needless to say, me, too ! Large portion is 600 yen, but I forgot the price of this small portion. Around 400 yen ? 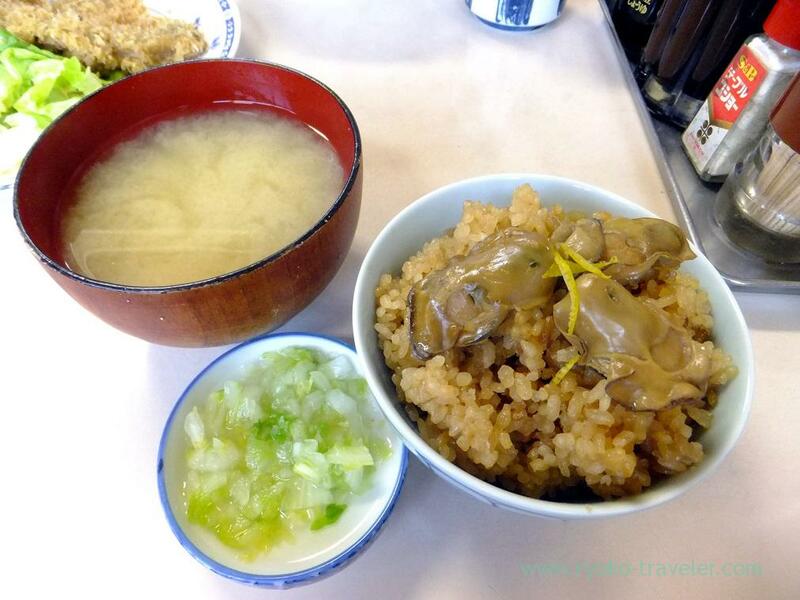 Rice and soup is 160 yen. Three oysters on it. It had soy sauce flavor. 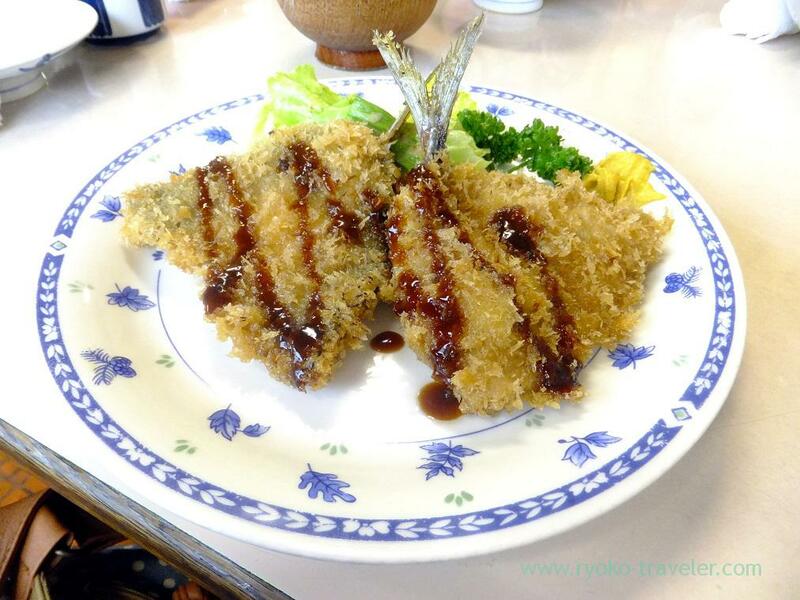 I also ordered a Deep fried horse mackerel (アジフライ, 420 yen). My friend ordered this. 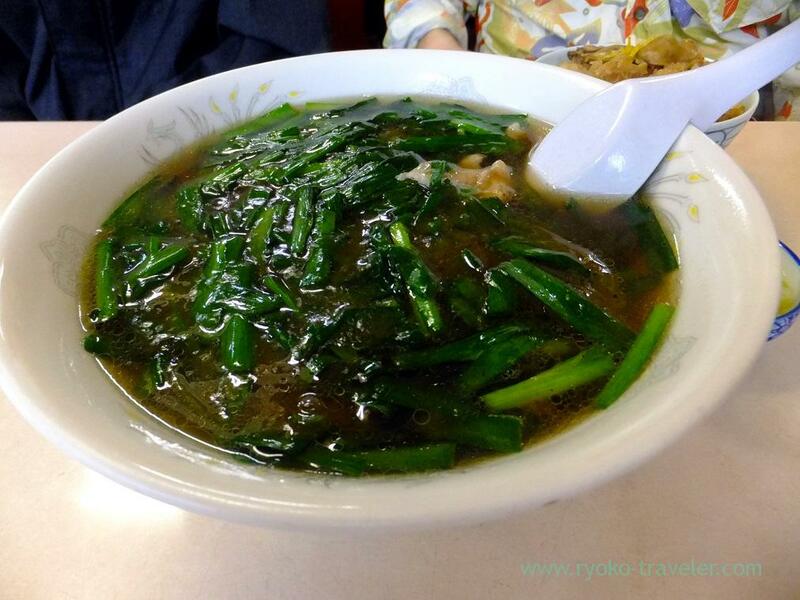 Noodles with leek (ニラそば、735 yen). It had violent green, but it had lightly taste.